The June 2016 Glossybox has a Tony Awards theme. It has a specially designed box and includes products for getting you "red carpet ready." It would take a lot more than what showed up in my Glossybox for that to happen! :) While I always love getting the special box designs, the contents of my box were very, very ho-hum. You'll also receive a fold out information card which I forgot to snap a photo of. 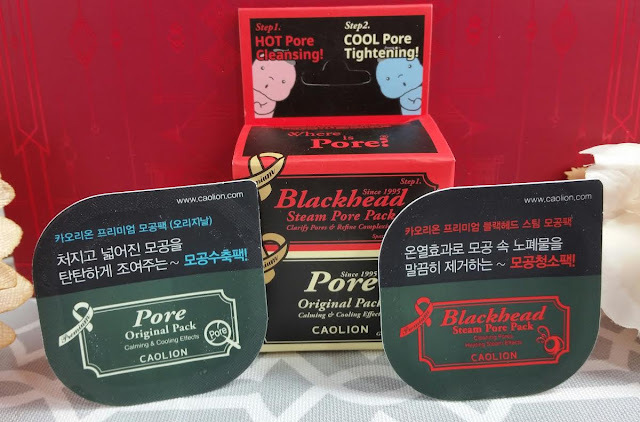 It gives a little information about each product along with some beauty tips. It's not super indepth and I wish it gave a little more information on how to actually use some of the products. 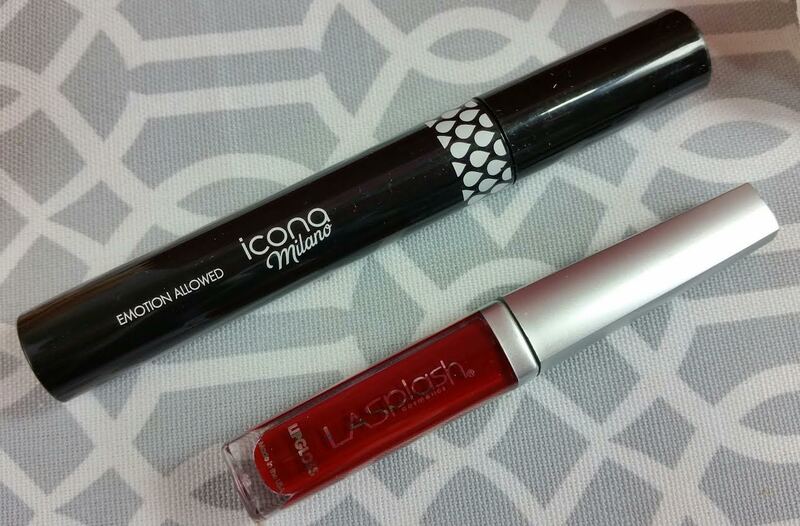 Icona Milano Emotion Allowed Mascara- Waterproof black mascara. The best part about this product is the tip that Glossybox included on the information card. You can extend the life of your mascara by adding 3-4 drops of saline eye drops into the tube and stirring. Totally doing that! I haven't heard of this brand and it looks like it's brand new out of Netherlands. LA Splash Lip Lacquer High Pigment Collection- This is made just for Glossybox. It has a cream to matte finish which is nice. I received the color Red Carpet. Not a color I wear very often, I have to admit. Sinful Colors K.J. Trend Matters Satin Collection- This is a very cheap, affordable nail polish. I'm a little surprised to see it in a Glossybox. I'm also hating the fact that they put something with Kylie J's name on it. I try as hard as I can not to support that insanity. I can't even. Am I weird for wanting to just toss it because of that? 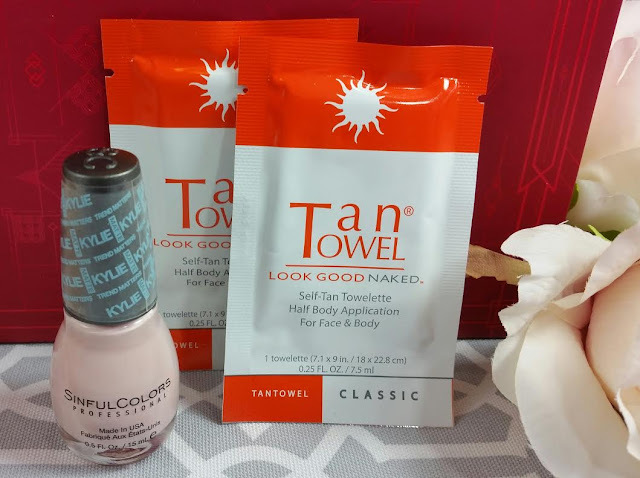 TanTowel Half Body Classic- I have so many of these! I've never used one but I think some people swear by them. I do need a (fake) tan but I'm so terrified of streakiness. Sebastian Professional Shaper Fierce- Extra strength finishing spray. I like this brand and I continue to hoard all my samples. I refuse to give any away. I probably have enough for the next ten years though. Sebastian Dark Oil- Add this to a moisturizing conditioner then let it sit as a hair mask for 5-10 minutes. I totally need to do this because my hair is so crunchy from sun and direct dye. It has argan oil in it for moisturizing. Caolion Premium Hot and Cool Pore Pack Duo- Of course I love seeing kbeauty brands in Glossybox! That makes this the best thing in here. These are wash off masks. One is for cleaning your pores and the other for calming irritation. VERDICT: Well, I'll be honest. This Glossybox is probably the most boring one I've had in a looong time. Super boring. And it felt very cheap. I think that was because of the unknown mascara and the Sinful Colors polish (especially with that K-Klan endorsement *shiver*). Thankfully, most boxes aren't like this and I'm looking forward to the next one. 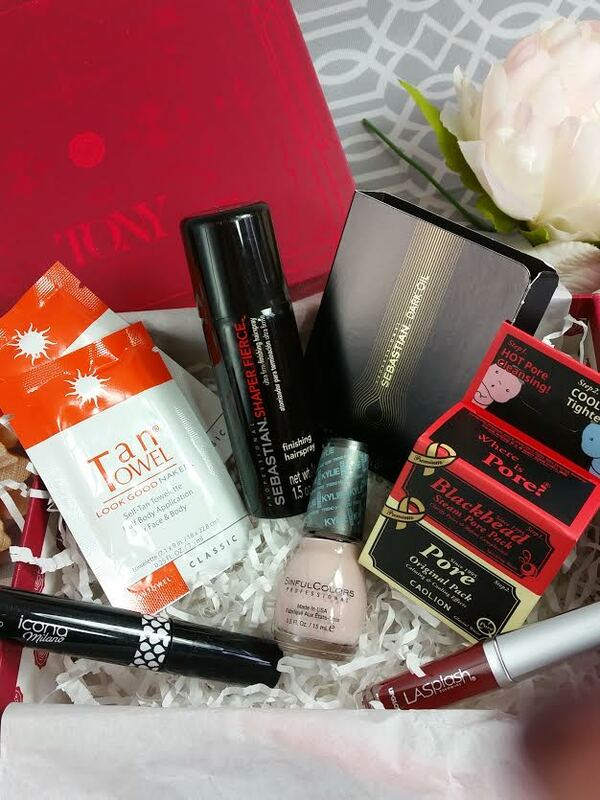 If you would like to sign up for your own Glossybox, you can do that here. Use code GLOSSYPOP to get a free full size Pop Beauty Kajal Pen through June 30th! Did you get something better in your box this month? I agree, this box was lame. And I would totally toss the Sinful Colors polish too! The color is ugly anyway. I liked thw,box. You should try the mascara. One of the best I 've had.For real. Also loved the Lué acne product and the Caolion soap. I was lucky for not receivinf the nail polish though.